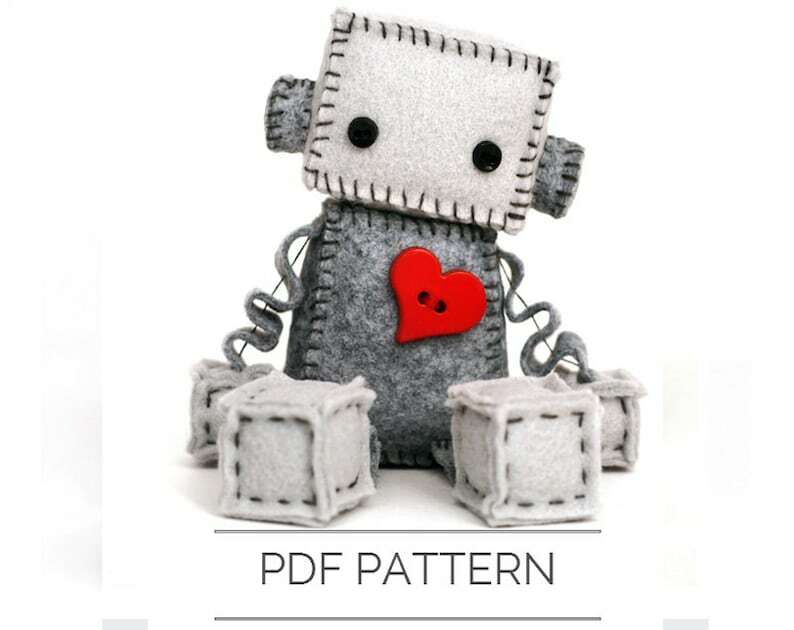 Make your own darling little plush robot. This sewing pattern makes a robot that sits about 4 inches tall. However you can print the pattern pieces larger or smaller to make a different sized robot. All stitching is done by hand so you do not need a sewing machine. Some sewing experience would be helpful for this project. Stuffed plush robots are not for young children. They have small parts that could be a choking hazard. Designs (including robot design), tags, descriptions, and photos are also protected. Adorable! Love this pattern, easy to follow. thank you! Thank you so much for the pattern and all the help you've given me over the past week to help me customize it to steampunk. I'll be making dozens of these for my friends and family! !